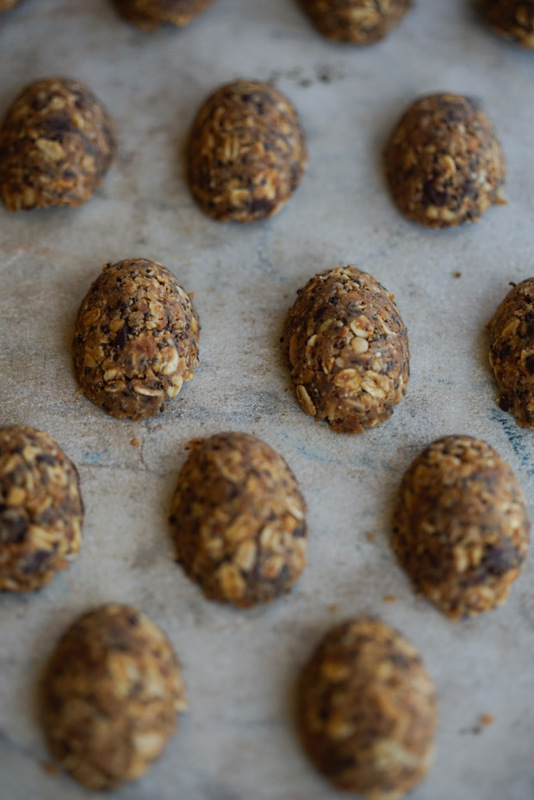 Energy bites aren't a new thing, but if you're a person that grabs commercial power bars regularly, and you're not already on board, give these a try as a DIY alternative. I make them for a 4 o'clock late afternoon snack to reach for when I'm at the studio, but they're also a great travel option. Kids love them. Adults love them. The best part is that you're in control of the ingredients, and they're a breeze to make. That said, I deploy a few, small, but (I'll argue) significant personal preferences when I set out to make energy bites. Most recipes tend to use raw coconut flakes, and raw oats. I find a light toasting of both is worth the slight extra effort. 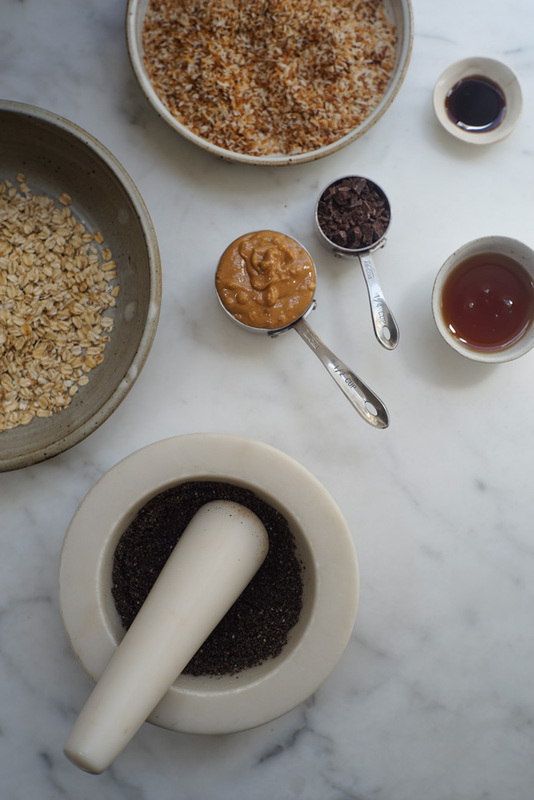 I also like chia seeds here, and tend to use them as my seed of choice, but I first beat them up in a mortar and pestle a bit before adding them to the mix. Also, feel free to swap things up a bit – trade in alternate seeds, use whatever sweetener you prefer, add spices if you like, or an alternative nut butter, or keep things simple, and just go with this version – Enjoy! A quick side note, I make these with whatever nut butter I have on hand. Typically peanut or almond butter, but in the video up above you'll see sunflower seed butter. All great!